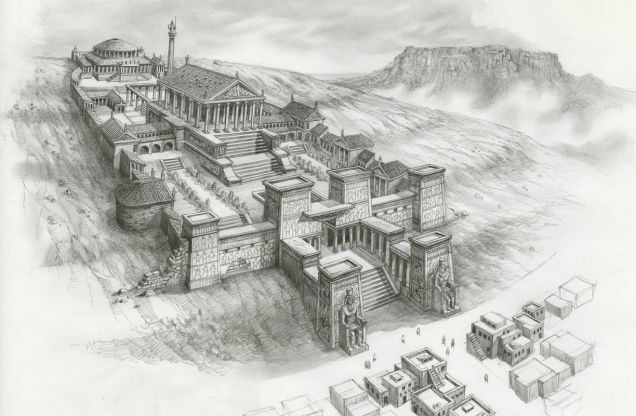 Library of Alexandria - Egypt or Pennsylvania? The Library of Alexandria in Egypt was perhaps the largest collection of works in the ancient world. It was built sometime in the 3rd Century BC by the Ptolemy dynasty, successors to Alexander the Great. I would love to have ClanDonnell in the Library of Alexandria, but the library doesn't exist anymore. It was destroyed by fire, or perhaps a series of fires, during the Roman conquest of Egypt. There's more than a bit of a mystery as to who started the fire. Almost everyone agrees that it was NOT Mrs. O'Leary's cow. But the fires took with it many ancient scrolls and sources which were lost forever. ClanDonnell is in the Library of Alexandria, or at least sort of. 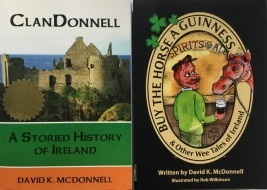 I met a man at the Pittsburgh Irish Festival who is assembling a huge collection of works. He built a second home around his library, which he calls 'The Library of Alexandria'. He bought ClanDonnell, which I inscribed 'To the Librarian of Alexandria'.